We provide a service of the highest standard with every attention to detail. This includes cleaning all windows, frames, sills, doors and any other exterior cleaning requirements – to give your building the smile it deserves. 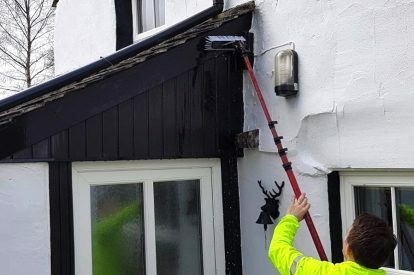 Poor gutter maintenance can lead to leaks, damp and mould problems but until now cleaning gutters was a costly business which could involve ladders, scaffolding and all manner of health and safety complications. 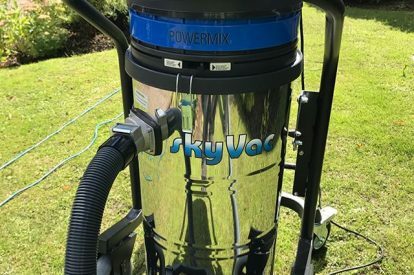 However we offer a convenient, safe and affordable service using the latest technology, the gutter vacuum, which can be done from the ground leaving your gutters completely clear of debris. There is nothing worse than green mouldy looking pathways and decking, aside from looking unsightly they can be slippery and dangerous. 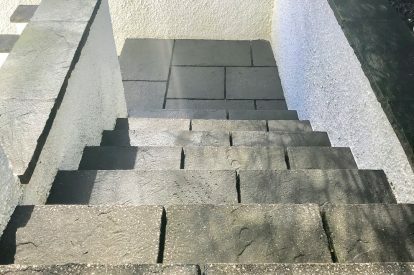 Power washing is the perfect solution to keeping your pathways, patios, and decking looking fresh and new. We use high powered pressure washers that make cleaning your property fast and professional. Cladding on a building is attractive and simple making a property look smart. However like most things it picks up mould and fungus over time. The simple solution to keeping that smart fresh look is to have it cleaned using our pure water system. With just a few cleans a year it can keep a property looking new. 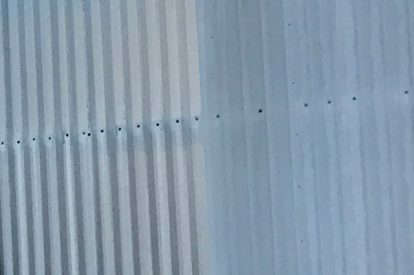 This wash down service involves cleaning every washable surface of your building, gutters, fascia boards, roofing, cladding and any other area where dirt collects. It keeps a building looking bright and clean and gets rid of unsightly grime and dirt. For an extra cost each month we can offer a package that would can include the cleaning of all or any of the above. Please enquire about this gold standard cleaning service. "Crawford's Cleaning business is everything that a business should be. He and his team are reliable, courteous, presentable and do a good job. They turn up when they say they will and bend over backwards to ensure that the customer is satisfied." "We have been using John Crawford window cleaning services for many years now. He provides an excellent service for a very reasonable price, The quality of the work. That John and his staff provide is first class, they are always polite, friendly and very helpful. I would not hesitate to recommend them". "John Crawford window cleaning and his team have cleaned windows on sites we manage for many years now. The work is always completed to a high standard, carried out safely with minimum disruption to residents and the visits are always on time." "John Crawford window cleaning have been visiting the Forest Side since opening over two years ago. His service has been of the highest standard. He reliably arrives on the same day each month. 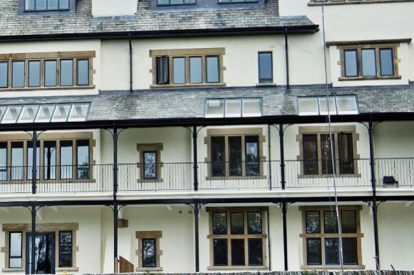 We are very please he is able to clean not just windows but also the doors, gutters and exterior stonework. I am very please with his work. " 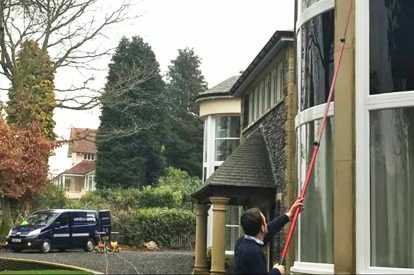 "John Crawford Window Cleaning provide a service of excellent quality - always courteous and efficient, they get the job done with the minimum of hassle and always ensure that I am happy with the work carried out"
"John and his team have been cleaning our Windows for 15 years. During this time they have been very commited to providing an excellent and thorough Service. I would not hesitate to recommend them to anyone"
"We have found John to be a very good and reliable cleaner. He uses filtered water to ensure there are no streaks and is also willing to clean the inside windows and gutters too. We have recomended him to a number of friends who also have been very pleased with the service and quality of work he offers." © John Crawford Window Cleaning. Terms and Conditions. Website design by Cyan Marketing.